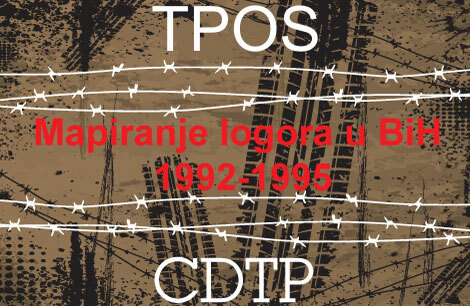 As the 22nd anniversary of Croatia’s victorious Operation Storm approaches, researchers who first investigated the killings of Serb civilians during and after the military campaign speak about the brutality they encountered. This description is from a report by the Croatian Helsinki Committee for Human Rights, NGO, which investigated the crimes committed during and after Operation Storm, which saw Zagreb’s forces defeat Serb rebels in August 1995. Bojan Munjin, now a journalist who covers theatre and culture for Croatian weekly Novosti, was one of them – and like the others, the traumatic experience of documenting the crimes has stayed with him. “The image of the decomposing bodies of an old lady and what turned out to be her son, with their hands tied with wire, still haunts me,” Munjin recalled. He was part of the Croatian Helsinki Committee’s research team for UN Sector South, around the Knin region, under the leadership of one of the NGO’s more prominent members, the late Petar Mrkalj. “All around were burned-down villages, some of which were still burning, and in some places bodies were still lying on the ground,” Munjin told BIRN. He said that the researchers, who began their field research in August 1995, right after Croatia’s victory in the Storm campaign, worked under a lot of pressure because the state and part of the country’s media were “not happy” with the NGO researching crimes committed during the operation. For some of the researchers meanwhile, especially for student volunteers, it was “the first encounter with corpses in their lives”, Munjin added. The research teams would talk to survivors, victims’ relatives and witnesses, to determine the names and the faith of individual victims. 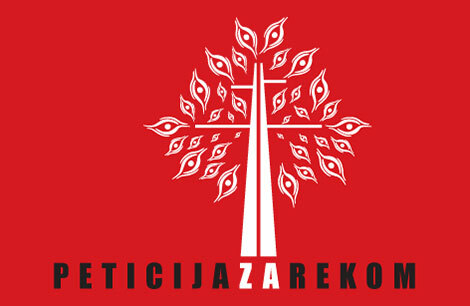 For a person to be put on the Croatian Helsinki Committee’s list of victims, researchers required testimonies from two separate individual sources. Munjin insisted that the NGO’s report was put together professionally, by “people of honour and integrity”, and only minor mistakes could have occurred. He denied the occasional claims in the Croatian media that they were trying to find as many victims as possible in order to artificially inflate the numbers. No one was “hoping that more victims were identified”, he said. 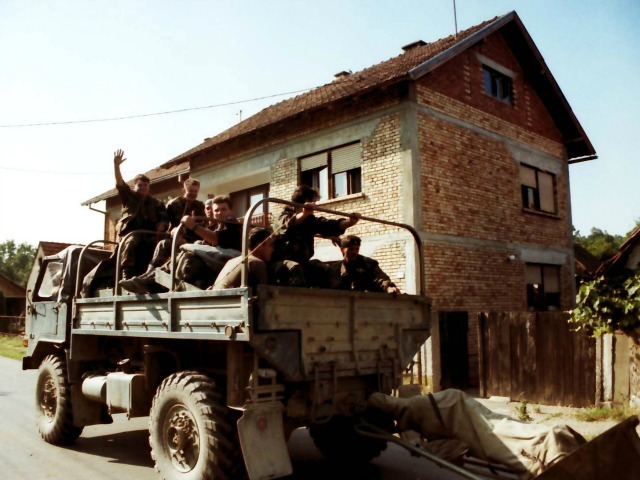 During Storm, Croatian forces regained territory controlled since late 1991 by rebel Croatian Serbs, who had been helped by the Yugoslav People’s Army and Serbian paramilitaries. 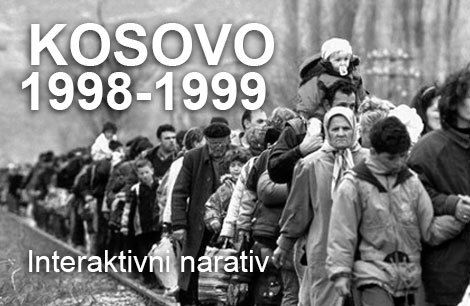 During and after Storm, Croatian forces and other, unknown perpetrators also killed Serb civilians. The only report that has so far tried to identify all these victims is the one made by the 12 or 13 Croatian Helsinki Committee researchers. 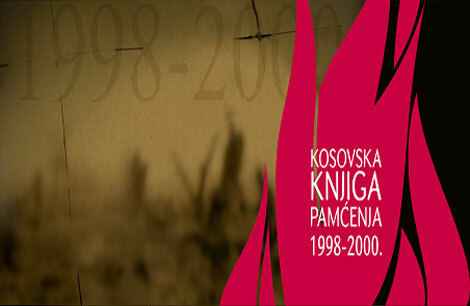 Their report, first published in 1999 and made into a book in 2001, named 677 victims of war crimes. Another of the NGO’s researchers, who asked to remain anonymous, also insisted that the report was credible and that the state authorities tried to dispute its findings by claiming that one person listed as killed was actually alive. However, it was later revealed that it was another person with the same first and last name. “Based on the information that Manda Tisma [one of the named victims] was alive, the Interior Ministry denied the whole report,” the researcher explained. The defence team for Croatian generals Ante Gotovina, Mladen Markac and Ivan Cermak also tried to dispute the accuracy of the report, during their cross-examination of the former head of the Croatian Helsinki Committee, Zarko Puhovski, at the International Criminal Tribunal for the Former Yugoslavia in 2009. While Puhovski admitted that there probably were some mistakes, he said that in general, the report’s facts stand. Puhovski also discarded the findings of the International Red Cross, which listed some of those killed as soldiers as they were found wearing military uniforms, arguing that it was not unusual that civilians during the wars in Croatia or Bosnia were wearing parts of military uniforms or even complete uniforms. Others have claimed that original documents and audio testimonies from the witnesses in the report are missing. But the current head of the Croatian Helsinki Committee, Ivan Zvonimir Cicak, told BIRN that this evidence exists and is “deposited in a safe place”. In its report, the NGO stated that over 20,000 buildings – including houses, barns and garages – were partially or totally destroyed or burned during the operation. It also documented widespread looting. Munjin said that he saw some recently-inhabited houses displaying signs saying “Occupied: Croat”, signalling to attackers not to plunder, burn or claim the property so it could be seized intact after the conflict. He recalls how witnesses contacted the NGO to give information about crimes, like the man who phoned to speak about the killings of nine elderly Serb civilians by unknown perpetrators in the village of Varivode in late September 1995. “I remember a male witness calling and saying he found these people who had been killed, saying that he is a Croat. He mentioned being a Croat as if it was a sign of credibility,” Munjin noted. He also remembers a woman describing an incident that took place a week after the beginning of the operation, in which her mother, who was disabled, was killed. “She heard a Croatian unit coming near her house and looked at them from the hill next to the house. After few minutes, she just heard a male voice shouting ‘burn it’, and the house went in flames ‘like a match’,” he said. “Seeing what we’ve seen, we only felt remorse. For us, it was one huge human catastrophe. We didn’t hate anyone or condemn nationalism or anything. We just felt so sorry for the people who lost their lives. We just wanted to respond to all human suffering. Nothing more,” he added. Another researcher, who wanted to remain anonymous, recalled memories of a visit to Sector South in August 1995, immediately after the operation, accompanied by a Croatian soldier, a military surgeon and a local Serb from Knin. “I was in the field between the 7th and 15th of August, during my first visit. I slept in Sibenik [coastal town], and every day I went out into the field,” the researcher told BIRN. While doing this, the NGO researchers also picked up information from UN units on the ground, which reported on the situation after the operation. The researcher described how he went to a location on Prokljan Lake after a friend received information that his parents had been executed after the operation. They found his friend’s burnt bodies under fishing nets alongside the remains of old car tyres. “They were shot with a Kalashnikov, and they [the killers] dragged their bodies onto the car tyres, covered them with fishing nets, poured gasoline over them and set them on fire,” the researcher recalled. “By the time I got there, there were some of their bones and a part of the skull [left]. I put all these remains in a bag, drove to the bridge in Sibenik and threw them in the Sibenik channel. Because he was a fisherman, I thought it was best to throw them into the sea,” the researcher explained. He also gathered empty bullet shells at the site, which he later gave to the state attorney’s office for its investigation into the case. The perpetrator of the crime at Prokljan Lake – Bozo Bacelic, a Croatian soldier – is the only person ever to have been convicted of committing war crimes during Operation Storm. Croatia’s Supreme Court sentenced him to seven years in prison in May 2014 for the murders of the two civilians as well as the killing of a prisoner of war. The Croatian Helsinki Committee researcher describes how, over time, he got to know the differences between houses that had been destroyed with anti-tank mines, torched by flame-throwers or blown up using regular gas tanks. The survivors left a lasting impression too. “I remember old Serb civilians wandering around the villages there. Brave old people trying to salvage anything that could be salvaged,” the researcher said. Later, the researcher moved north to the Gospic region, arriving in the village of Komic, where the killings that Munjin described took place. In the village, unknown perpetrators killed nine elderly Serb civilians were killed, the eldest aged 92 – the “old lady” to whom Munjin referred. “We found them in February 1996, their bodies already dragged away by wolves. We took photos, called the investigative judge and the police. They were doing their job; we did ours,” the researcher recalled. “These are probably the most horrific pictures that I carry around in my head,” he said.